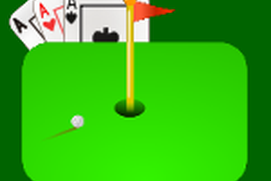 Published by: Solitaire Puzzle Game by XSS ? 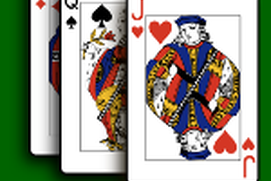 This is a solitaire collection that contains 30 popular card games. Detailed rules are provided for each game. The list contains: Aces Up,Agnes, Alternations, Baker's Dozen, Baker's Game, Bisley, Double Klondike, Calculation, Canfield, Eightoff, Klondike, The Fan, Flower Garden, Forty Thieves, Freecell, Golf, Grandfather's Clock, La Belle Lucie, Monte Carlo, Pyramid, Russian Solitaire, Simple Simon, Scorpion, Spider, Spiderette, Tri Towers, Will O' The Wisp, Yukon Solitaire or patience is a genre of tabletop games, consisting of card games that can be played by a single player. 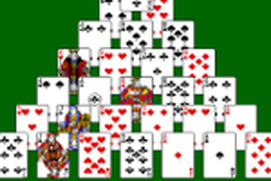 The purpose of solitaire generally involves manipulating a layout of cards with a goal of sorting them in some manner. However it is possible to play the same games competitively (often a head to head race) and cooperatively. solitaire games typically involve dealing cards from a shuffled deck into a prescribed arrangement on a tabletop, from which the player attempts to reorder the deck by suit and rank through a series of moves transferring cards from one place to another under prescribed restrictions. Some games allow for the reshuffling of the deck(s), and/or the placement of cards into new or "empty" locations. 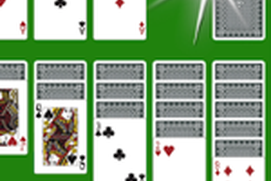 In the most familiar, general form of solitaire, the object of the game is to build up four blocks of cards going from ace to king in each suit, taking cards from the layout if they appear on the table. There is a vast array of variations on the solitaire theme, using either one or more decks of cards, with rules of varying complexity and skill levels. Many of these have been converted to electronic form and are available as computer games. Examples of variants on the familiar solitaire theme that may be played with an ordinary packet of cards include Bisley and Prince Albert. First game was good but cards will not appear. No cards, no game. Even though it was free, it was a waste of time. Good App. Lots of options. Great group of games. It can get boring playing the same game all the time. great selection of games and love that there are a variety of challenging levels. I love this app but....it locks up after awhile and you cannot get the cards to deal. Frustrating. 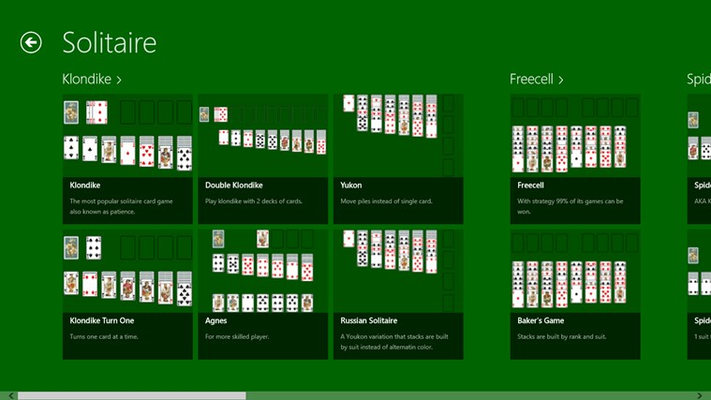 Really just wanted regular Solitaire. Still trying to figure out most of these.